Pdf images extractor software is easy to use and self descriptive utility to extract all images out from pdf document. Program search full pdf, count images of pdf and saves them out on the disk drive in original format without regular copy paste. AnyCount is automatic text count software. AnyCount is automatic line count, character count and word count software for all common file formats. Supports .DOC, .RTF, .XLS, .PPT, .PPS, .HTM, .CSV, .PDF, .TXT, .ZIP. AnyMini C is automatic character count software. It is character count program for all common file formats, which supports .DOC, .RTF, .XLS, .PPT, .PPS, .HTM, .CSV, .PDF, .TXT, .ZIP and is powered by AnyCount Text Count Engine. Tiff PDF counter is an easy to use tiff and PDF page count application. It supports all versions of single and multi-page tiff and PDF files. It is also fastest tiff and PDF counting application. We have tested it with 60000+ pages. Character Count Tool is fast and reliable tool adept at counting Words, Character, Lines and Pages in Word, Excel, PowerPoint, PDF, Publisher, Text, HTML files. The software is ideal for transcription and translation industry. Reliable tool developed to count Words, Character, Lines and Pages in Word, Excel, PowerPoint, PDF, Publisher, Text, HTML files and calculate cost of typing accordingly. Tool is ideal for transcription and translation industry. AnyMaxi is automatic word count tool. AnyMaxi is automatic line count, character count and word count software for all common file formats. Supports .DOC, .RTF, .XLS, .PPT, .PPS, .HTM, .CSV, .PDF, .TXT, .ZIP, .WPD, .XML, .MIF. Find word and character count as well as frequency of each word in one PDF file. This word frequency analysis will produce a list ordered from most to least used words. This list can be saved as a text file. . . The easy way to count words, characters and lines in one or more files. Just drag and drop the files. Total Assistant shows the counts for each file and the total for all files. File formats including Word, Acrobat PDF, HTML, PowerPoint, Excel. Find word and character count as well as frequency of each word in one PDF file. Find word and character Count as well as frequency of each word in one Pdf file. This word frequency analysis will produce a list ordered from most to least used words. This list can be saved as a text file. Tiff Teller provides you with all the info about TIFF and PDF files. It will show you page count, width, height, file type, file path, size of the files. You choose the fields to be displayed. 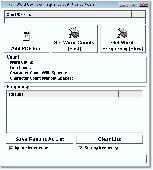 The report can be printed or exported to xls, doc, csv. Useful line count software adept at counting lines, words, characters or pages in Word, Excel, PDF, PowerPoint or Publisher files. Tool is equipped with cost calculation feature which can be handy for translation and transcription industries.